Both of my parents were World War II Army veterans. My mother was especially proud of her military service. Her favorite symbol of our country’s victory in this costly struggle was the U.S Marine Corps War Memorial in Arlington, Virginia. 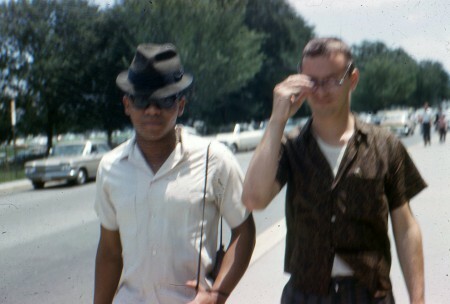 When I graduated from high school in 1961, she took me to Washington, D.C. to visit the memorial. She believed that the thousands of Americans who died during this war should never be forgotten. She kept a small framed black and white photo on a nightstand next to her bed. This photo was moved to the living room on Memorial Day. 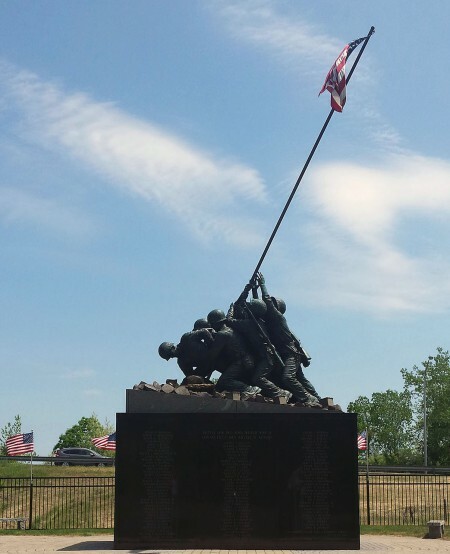 The photos below are of the National Iwo Jima Memorial located on the New Britain/Newington town line in Connecticut. 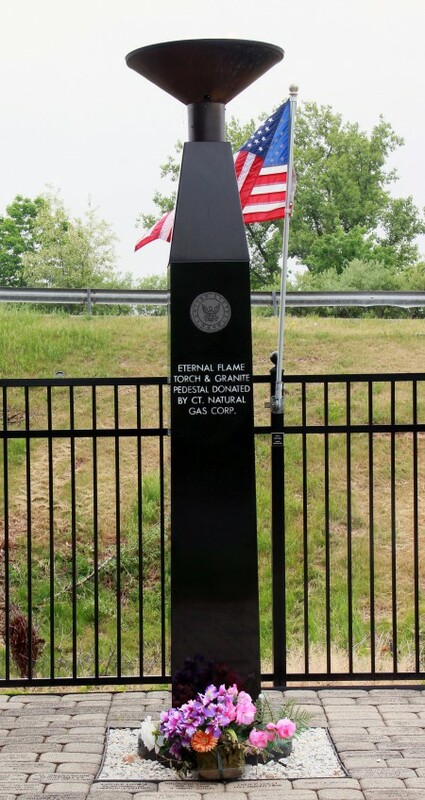 This memorial was dedicated on February 23, 1995, on the 50th anniversary of the original flag raising to salute the 6,821 Americans who died fighting on the last strategic stronghold before the planned invasion of Japan. I visit this park every year as Memorial Day approaches. 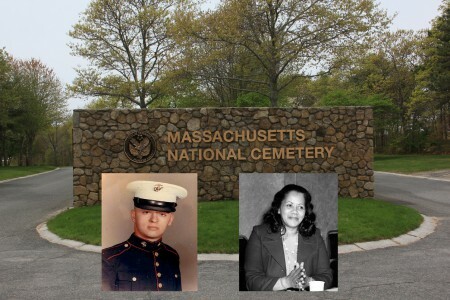 Once a year I drive to the Massachusetts National Cemetery to visit the grave sites of Jim Duffy, brother of Dave Duffy, and my mother. Their sites are within walking distance of each other. I park at the administration building and walk to both grave sites; rich, well-maintained landscaping here makes a visit seem like a tour of a National Park. 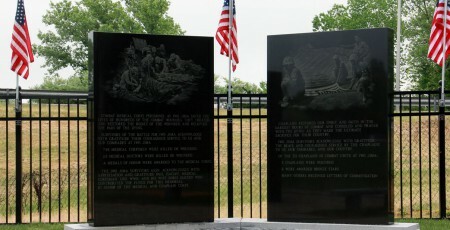 It is a fitting final resting place for Americans who served the country in the military. Both of these brave soldiers were volunteers, and never voiced any regret over their decision join the military. The war cost my mom her marriage and she was left to raise a son on her own. She considered succeeding at this difficult task to be her greatest achievement. In 2005, Dave wrote a salute to his brother Jim, in which he describes the highs and lows in Jim’s life. However, as he described Jim’s classic interception at a football game against a rival football team, he failed to mention that I was the second string offensive center on the same team, and was standing on the sideline with them. At football practice Jim and I often contributed to mess up some of the best plays executed by the first string offense. From time to time, for no apparent reason, one of our many practice field antics comes to mind. This always brings a smile to my face, and thoughts of other fun times off the field. You can read Dave Duffy’s article in Issue 95, September/October 2005 — Sgt. Jim Duffy an Ordinary Hero, that is an inspiration for my comments. During the frequent hot summer days of the late 50s and 60s my mother was invited to spend time in the Cape Cod town of Mashpee at the summer cottage of an long-time army friend; my mother said this friend belonged to the Mashpee Wampanoag Tribe. Because electricity had not yet reached this part of the cape, portable gas lamps were used for light at night, and most cooking was done on wood fired stoves or BBQ grills. One of my mom’s greatest pleasures was preparing meals for everyone using recipes that she developed. Over the years I have been able to reconstruct some of my mom’s favorite recipes from this period. Next week I will begin posting some of these recipes and cooking techniques she used during our summer visits. 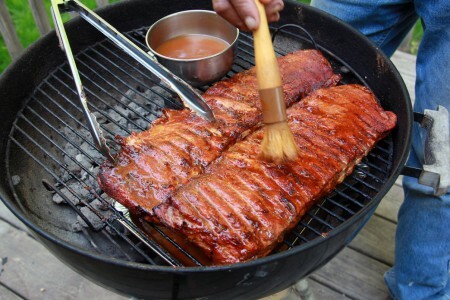 I will post the first one this month, and, if possible, I will post at least one or two recipes a month. My mother was great cook, and I am sure that you will agree after preparing and sampling her recipes.